Google joins the race to save the world from the catastrophic consequences of global warming with a technology that unleashes the power of salt. Fossil fuels supply about 80 per cent of the world’s energy and 60 per cent of our overall electrical generation. This in spite of the fact that quite a number of countries have been seriously shifting to renewable energy. Iceland uses geothermal and hydroelectric plants to supply 100 per cent of its electricity and home-heating needs. Sweden has been making bigger investments in solar and wind power, more efficient grids, power storage, and clean transport. Costa Rica has been harnessing the power of its volcanoes, enabling it to build more geothermal plants along with other ecological projects. The United Kingdom optimizes its use of wind power, with Scotland now attaining 100 per cent electricity supply to all households from this renewable source. Following closely in its record is Ireland. 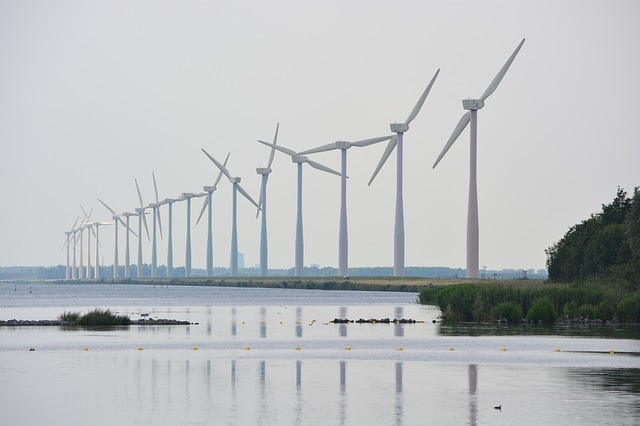 Denmark is also hitting its goal, now supplying 40 percent of their electricity needs from renewables. Solar power is also being exploited successfully by Germany and Morocco. Meanwhile, Nicaragua and Kenya have been investing a great deal in geothermal and wind energy production. Nevertheless, the world needs more action based on current data. According to the United Nations, public policies are one of the hurdles in the pursuit to make renewable energy a more popular alternative energy source. Another challenge is energy storage. Currently, solar and wind energies are among the most widely-used alternatives to fossil fuels. But these sources, unlike the traditional, can be harnessed only on certain times. You get solar only during daylight, while windy days are more difficult to rely on. However, each renewable energy has its peak and, if those energies could be efficiently stored, then the world could benefit a lot more. It could also bring the price of renewable energy further down, thereby accelerating the global transition to cleaner and sustainable energy. Another giant corporation that’s meeting that challenge in order to help save the planet is Google’s parent company, Alphabet Inc (NASDAQ : GOOG, GOOGL). Through its project codenamed Malta, technologies are being developed to store electricity in molten salt and antifreeze. The objective is to meet electrical grid demands to be able to serve more communities. The project is based on the theory formulated by Nobel Prize winner Robert Laughlin. Based on the Laughlin theory, energy can be stored through a pumped thermal energy storage system. The system functions like a heat pump or refrigerator, using heat storage fluids. Less expensive components for the system. Even though the heat exchangers and turbines need to be specifically designed, the other components like cooling liquids and steel tanks are easy to obtain. Salt does not present a problem, as well, since earth is abundant in this mineral. What’s more, you don’t have to replace the molten salt often and the solution is purely non-toxic. Environment-friendly. The plant for this renewable energy storage can be constructed just about anywhere. It does not have the risks and hazards of a nuclear plant. Its electricity supply can also be relied on at all times regardless of weather conditions. Longer-lasting than lithium-ion batteries and other energy storage options currently in the market. Salt tanks can last up to 40 years, and it’s easy to expand their energy storage capacity by simply adding more tanks. After two years of working intensively on design, Alphabet Inc. is now looking forward to the construction of a prototype plant which can soon help provide the world with a more efficient, more affordable, and more environment-friendly energy storage solution. This is certainly a positive development in the face of overwhelming scientific evidence suggesting that climate change poses a serious, if not catastrophic threat to our very existence. Not a new idea. Other companies have great designs. But Alphabet may have the capacity to do the engineering right to take it to market, and they are a big energy customer themselves, so they don’t need to find buyers of the product- just self serve. In general wind provides 50% of it’s power needs from wind now. There is a goal of reaching 100% from a variety of renewables by 2020.